Continuing with our Antarctic theme, today we visit with a young Weddell seal pup (Leptonychotes weddellii) who was hanging out on the beach having a good time. We get quite a few Weddell seals at Cape Bird, sunbathing on the beach and generally enjoying the sunshine. These guys are pretty abundant around the continent and eat predominantly fish and crustaceans, so don’t seem to upset the penguins too much. Edited to add that, as Darren rightly pointed out in the comments, the photo above is actually a crabeater seal (Lobodon carcinophagus). 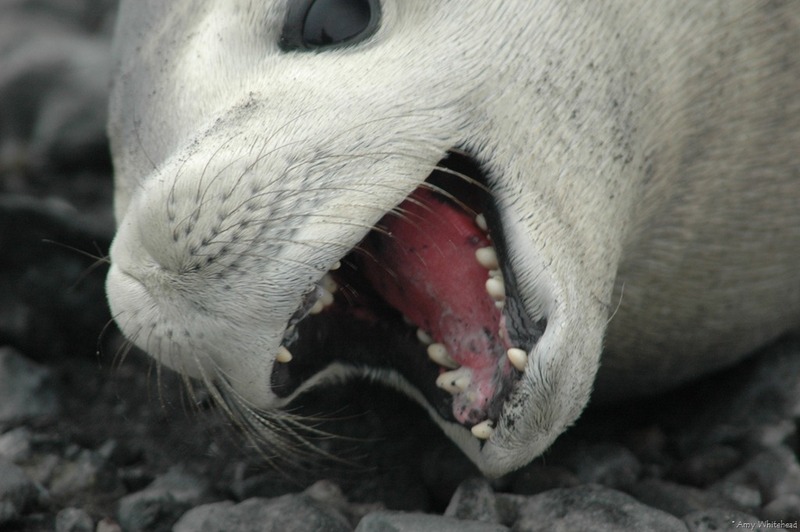 Which is pretty cool as we almost never see them at Cape Bird, hence why I incorrectly identified it as a Weddell seal. So here is a photo of a Weddell seal sunning itself on the push ice to make up for my mistake. Categories: Wildlife photography | Tags: Antarctica, Cape Bird, crabeater seal, Leptonychotes weddellii, Lobodon carcinophagus, photography, weddell seal, wildlife | Permalink.